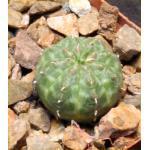 Another of the wonderful Madagascan dwarfs, this species has a spherical caudex with short branches and highly crisped, reddish brown leaves. 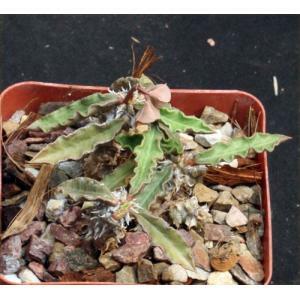 The cyathia are a very pale pink color. 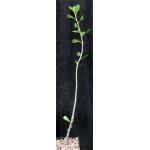 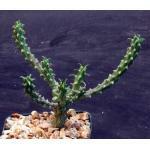 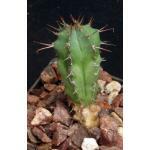 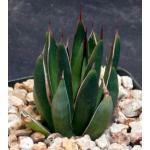 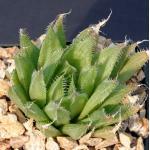 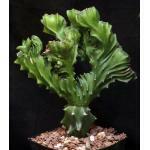 We offer multistemmed rooted offsetsof this species in 4-inch pots.